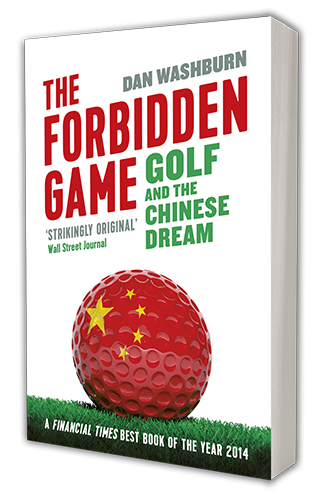 The Forbidden Game uses golf – a game that most in the country probably still know nothing about – to gain a rare insight into ordinary Chinese lives. Washburn, the managing editor of the Asia Society in the US, was a reporter in China when he began covering golf tournaments. A Stakhanovite worker, he spent years trekking to the least glamorous corners of the country and has ended up with interlinked portraits of three men touched by the rise of golf in China. … An illuminating portrait of modern China. Filed under Blog, Featured. Tagged new statesman, reviews, simon super.